These images were taken before I semi-fixed my camera lighting problem so I apologize for the frequent change in skin tone! Beatrix is a matte textured polish described as a tangerine metal sparkle. Destiny is a matte textured polish described as a coral metal sparkle. Liberty is a matte textured polish described as a blue sugary sparkle. Miranda is a matte textured polish described as a rose sparkle. 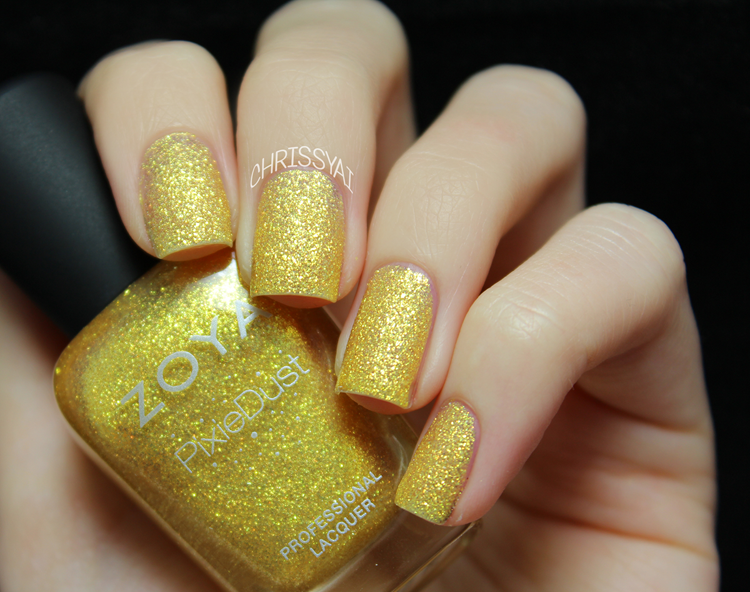 Solange is a matte textured polish described as a gold metal foil sparkle. Stevie is a matte textured polish described as a violet sparkle. 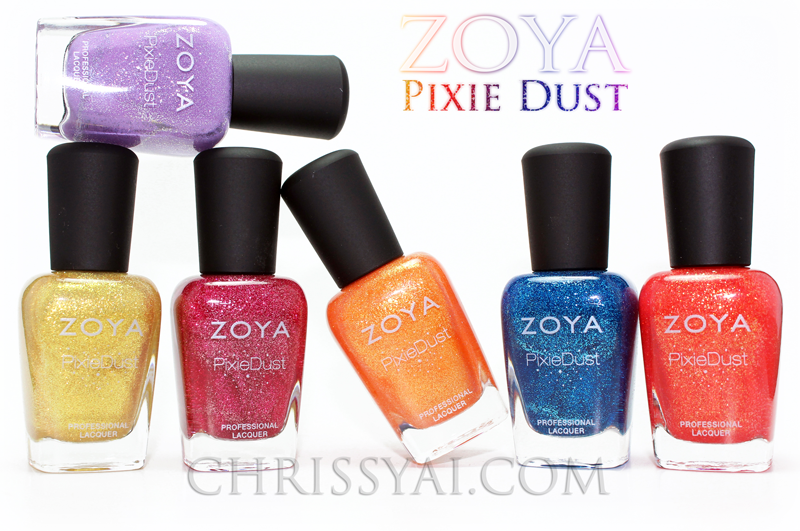 Each of these polishes applied pretty nicely, which was a surprise to me considering the texture of them. I expected them to be irritating to work with but I got quite the opposite! Each polish only took a few minutes to get the full matte effect. I was also concerned with the difficulty of removal which also turned out to be simple! I had read about people saying it was as easy as regular nail polish but I have to disagree just slightly. It's definitely as easy if you're only swatching them but if you wear them long-term they are a teensy bit harder. Nothing close to removing glitter, however. Above is each polish with one coat of top coat.. in which they each sucked up within minutes. Great post and gorgeous swatches!! Great post! I am totally jealous of your hands, haha! Haha, they're such gorgeous shades! Thank you, Julie! I like the texture. Kinds of 3D, right? And such pretty sparkles! 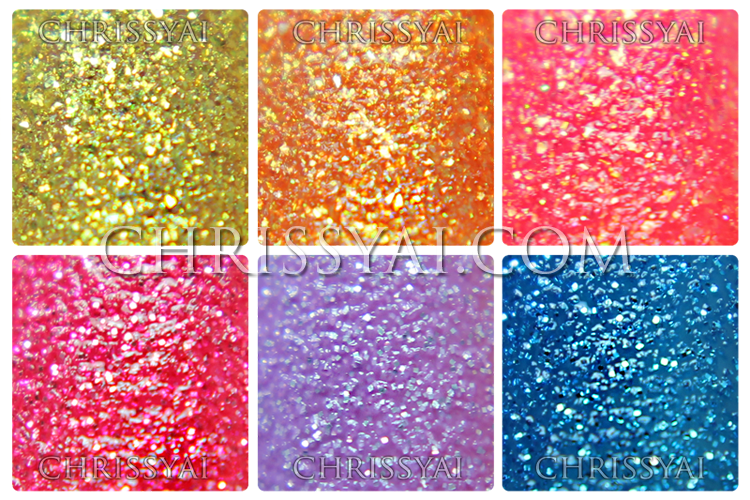 Oooh, pretty swatches!! I love this collection so much and you captured it beautifully!